Castle Brook Builders will help you design and build a home that fits you perfectly—from design to reality. You could be in your own custom home in as little as six months! Our process breaks down into four steps; let’s explore the Castle Brook custom home building journey. It all starts with selecting your building partner. Your design and build teams will be with you through every step of your custom home building journey, so it’s important to find a home builder that shares your values and vision. When you initially meet with different builders, make sure to ask the right questions so you can choose the team that will be the best fit. Our home builders have answered the top 10 most frequently asked questions, and we’ve turned this information into a free, downloadable resource. We’ll work to answer all of your questions then draw up a design-build contract for the custom home of your dreams. We’ll help you find the perfect lot in the community that’s right for you. Then, when you sign your design-build contract and put down your deposit, we’ll start the planning and permitting process. 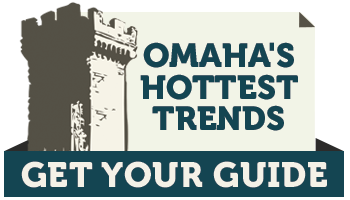 How Do I Choose an Omaha Home Builder? Step Two: To the Drawing Board! You’ll work closely with the design team to select the building size, style, and structure that works best for your lot and your liking. Our style galleries have many options to inspire your custom home planning. Our architects will help you customize floor plans and layouts so your home meets your needs perfectly. Our construction experts and architects will then work together to coordinate specific design and construction details. This ensures that potential problems are discovered and addressed before the project begins. Our designers, engineers, and contractors work closely together to remove ambiguity that can arise in material and construction specifications, which can lead to costly mistakes and delays. Having this team of experts continuously collaborate will keep your dream home on schedule and within budget. The planning and permitting process takes about a month (if there are no issues or complications). A calendar of what’s going on and when, so you don’t have to make all of your decisions at once. Free interior design hours with a professional designer. You can consult with your designer about selecting plumbing and lighting fixtures, fireplaces, appliances, floor coverings, cabinetry, paint colors, and other functional accents that will bring your custom home to life. After the finishing touches are completed, you and the field manager will do a walk-through and make a “punch list” of things that need adjusting or touching up. We want to make sure your new home is perfect in every way before you move in! Once everything is absolutely finished and you’ve done a final walk-through, we’ll help you finalize the closing paperwork and hand you the keys to your dream home. Remember, we’re just a phone call away, and we have a one-year guarantee for adjustments or corrections. If you’re thinking about building a custom home, download our free custom home process guide, which covers the basics (more in depth) of our 4-step design-build process. Castle Brook is your partner in every step of the process of designing and building your quality custom home. Contact us today to get started and learn why we’re Omaha’s favorite custom home builder!